In this issue: a deadly secret, a young hero’s destiny, and a path back to outer space. 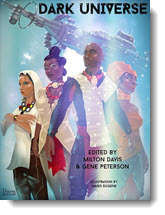 All that plus new short fiction from William Ledbetter! 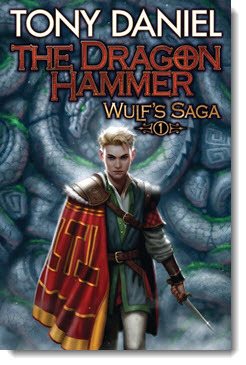 Get The Dragon Hammer eARC here. Selected from the premier print and online markets in the field, here are stories to challenge, provoke, thrill, and entertain. Stories of future military men and women, space opera on a grand scale, and edge-of-your-seat adventure science fiction in the grand pulp tradition. 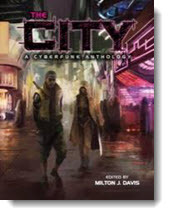 Includes stories by David Drake, Joe R. Lansdale, Sarah Pinsker, David Brin, and many more. Plus an all-new introduction by David Weber! 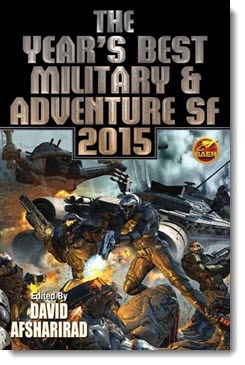 Get The Year’s Best Military and Adventure SF 2015 eARC here. 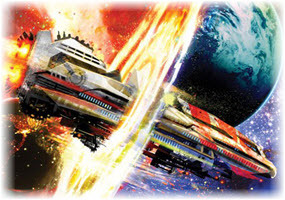 Clan Korval needs to reestablish itself as one of the top trading clans in known space. But that’s not their only problem. Onboard the Korval ship Dutiful Passage is Padi yos'Galan, the master trader’s heir, and she’s keeping a secret that threatens her very existence. 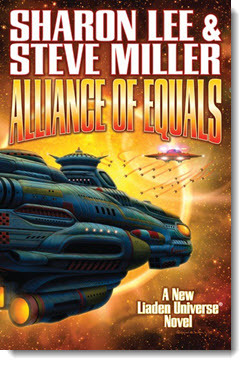 A new entry in the best-selling Liaden Universe® series from Sharon Lee and Steve Miller. Get Alliance of Equals eARC here. The Moonlets were strange, rocklike formations that floated around a gas giant in the Cancri system. They emitted hypnotic radio signals some referred to as “symphonies.” But were the Moonlets a natural phenomenon or something more? Kofi Patterson owns the mining rights to the Cancri system, and he's determined to make a profit. But the A.I. embedded in his skull is just as determined to study the Moonlets—and protect them at all costs. An original story by science fiction writer and Jim Baen Memorial Award Administrator William Ledbetter. It’s been decades since a human has made it farther into space than Low Earth Orbit—with good reason. The logistics and politics of moving out into space are complicated and dangerous. But engineering troubles and political maneuvering aside, there is one thing keeping humanity from venturing beyond our home world: indecision. Specifically, where do we go? In this month’s nonfiction essay, space scientist Les Johnson lays out the possibilities and argues that it’s time for those in favor of manned space exploration to get on the same page. 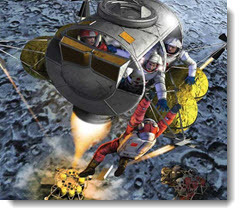 Read “Mars, Moon or Bust!” here. 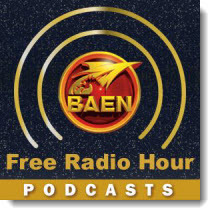 Coming soon to the Baen Free Radio Hour: Mercedes Lackey and Cody Martin discuss Silence, their new entry in the SERRAted Edge contemporary fantasy series. Also coming up, Eric Flint and other contributors talk about the Ring of Fire IV alternate history anthology out in May. Missed past episodes? No problem. We’ve got every episode archived for your listening pleasure. Hounded into retirement and disgrace by political enemies, Captain Honor Harrington has retreated to the planet Grayson. But the People's Republic of Haven is rising from defeat to threaten Grayson anew, and the newborn Grayson Navy needs her experience desperately. It's a call Honor cannot refuse. Spanning more than five decades of a legendary career, here are tales of star-faring adventure, peril, and drama. Here are journeys into the mind-bending landscapes of virtual worlds and alternate realities. Here are stories of humanity's astounding future on Earth, on Mars, in the Solar System—and beyond. All three novels of the Cobra War Together for the first time. Cobra warriors: technologically enhanced and implanted with an arsenal of covert weaponry to fight against alien foes and evil humans. Includes: Cobra Alliance, Cobra Guardian, and Cobra Gamble. They were as disreputable a gang of misfits as ever flew between the stars. But together they would free a world! Set in the world of the Wing Commander computer game universe. Labrador Retriever Max has just learned that his family will be moving. 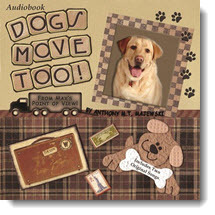 Listen as he shares his adventures with moving to a new home, and dance and sing along with his “Sing with Max” album of children’s songs. A portion of the proceeds from each purchase is donated to children’s as well animal related charities that help those with disabilities. Matile Mala, once the most powerful empire in the black continent of Abengoni, is slipping into decadence and becoming more and more vulnerable. When ancient enemies from without attack, Tiyana, who is both princess and priestess, must defend the empire and anticipate which way the scales of fortune will tip. The Dark Universe Anthology tells the origin story of the Cassad Empire, from its ambitious beginning as a refuge and new home for a persecuted people to its evolution to the first great human Galactic Empire. The year is 1870. In the young country of Freedonia, a bounty is hired to find a valuable book. In the kingdom of Mali, a veteran warrior has been assigned to find that same book and bring it back to its rightful owner. And in the newly formed nation of Germany, an ambitious Prussian officer seeks the book for its secrets that could make Germany the most powerful nation in the world. The result is an action adventure like no other! The City. No one knows how it began or when it will end. No one has left in 20 centuries. No one knows how its 20 million inhabitants came to be there, 1500 different species all crammed together. These are their stories. Tenochtitlan the capital of the Aztecs. A priestess disappears from an empty room drenched in blood. It should be a usual investigation for Acatl, High Priest of the Dead, but the more he digs, the deeper he is drawn into the political and magical intrigues of noblemen, soldiers, priests—and the gods themselves. The emperor of the Mexica has just died. The council should convene to choose a new emperor, but they are too busy plotting against each other. And then someone starts summoning star-demons within the palace, to kill councilmen. Acatl, High Priest of the Dead, must find the culprit before everything is torn apart. The Mexica Empire now has a new emperor, but his coronation war has just ended in a failure: the armies have returned with too few prisoners for sacrifice to the gods. Acatl, High Priest for the Dead, has no desire to involve himself yet again in the intrigues of the powerful. But when one of the prisoners dies of a magical illness, he has little choice but to investigate. After being diagnosed with cancer in 2008, the late Jay lake set out on a quest to demystify cancer, writing extensively about it. In this novelette, he weaves a story that, though fictional, parallels his own battle. Fifty percent of proceeds will be donated to the Clayton Memorial Medial Fund. A pulse-pounding high-tech adventure featuring the Daredevils’ Club, risk takers scouring the Earth to reassemble the components of a lost alien artifact. An epic fantasy sequel to Shakespeare’s Macbeth. Macbeth is dead—but now Macduff, hero of Scotland, must lead an alliance of legends against a deadlier foe: the soul-stealing Prince of Dark Elves. A military SF adventure featuring the Fifth Foreign Legion. The Sandcastle, on a water world on the fringe of Earth’s expanding empire, was an easy assignment on a peaceful alien world—until the natives attacked! An action-packed urban fantasy featuring Sarah Beauhall, blacksmith and dragonslayer in modern-day Seattle. Sarah’s beloved partner Katie pays the cost of magic as her spirit is blasted from her body. As Katie lies in a coma, Sarah must battle supernatural enemies to save her soul. The first “David Farland Discovery,” a notable first novel chosen by New York Times best-selling author David Farland. Legend tells of a sorceress, the Willow Woman, living within a white tower outside of the great city of Ethcabar, who owns a vast hoard of strange and curious items. If you bring her something precious to add to her Collection, she may grant your wish . . . or curse you.